Point Loma real estate is heaven. Plain and simply. For your money, you are not going to find a more unique place to purchase a home. The layout is European. The people are a joy. The homes for sale in Point Loma are beautiful. The luxury homes for sale in Point Loma are on another level entirely. It’s not difficult to understand that dream homes set in this picturesque unique wonderland would be above and beyond. What you get when purchasing here easily tops most other regions. Dream Homes or luxury estates are usually described as being worth two million dollars or more, but we’re not just talking about price here. We’re talking about what luxury homes for sale in Point Loma have to offer the buyer that can afford this kind of lifestyle. First let me paint the picture of what dream homes in other areas are like. the homes are big. I mean BIG. They better be for the price you’re paying. The estate and acreage is vast. Again, it better be. If you’re the kind of person who wants to feel like the “king of the castle” this is the kind of living you’re after. However, if you like feeling as if you’re part of a community this lifestyle may not jive with you. Point Loma Luxury homes for sale are still a part of Point Loma. And that is a very good thing if you enjoy certain aspects of an active life. Do you enjoy restaurants in walking distance? Do you enjoy a liberal arts scene you can be a part of? Are you excited by colloquial celebrations like parades, block parties and general weekend fun? 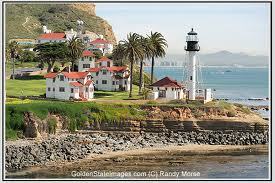 Then Point Loma is the place to buy. Now the homes themselves. 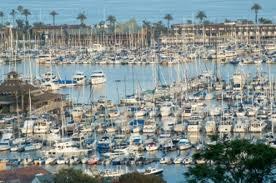 I can not simply describe the views you will get from the dream homes for sale in Point Loma. I can only show you. Look above to get a taste of what you will see every morning out your window or from your wrap around terrace. Pure heaven. Pure joy. It awaits the buyer that can afford the best, but still wants to be a part of the rest. It’s time to let OpenOffer.com help you negotiate your new home.